Nina – alias Miss Peaches – has almost reached the end of her adventurous journey across Europe. 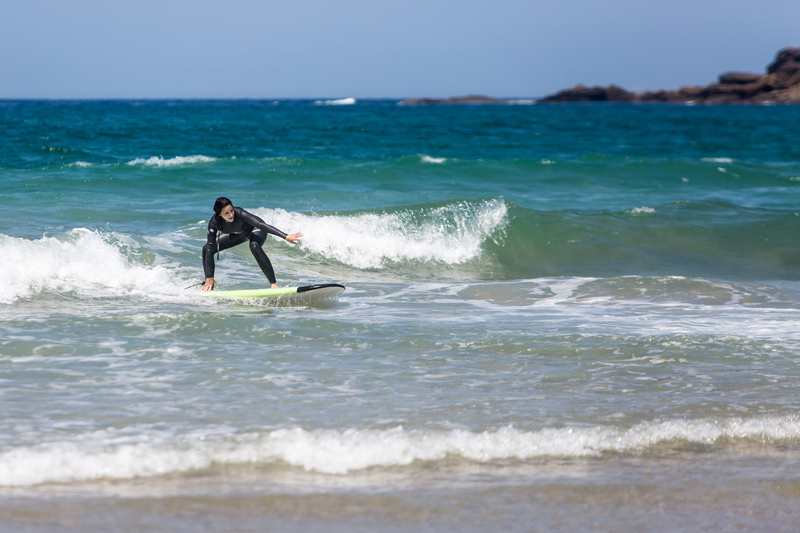 In San Sebastián, Spain, her dream of learning to surf will come true. “The best thing about San Sebastián is that you get good waves right here on the city’s coastline, which is highly unusual. 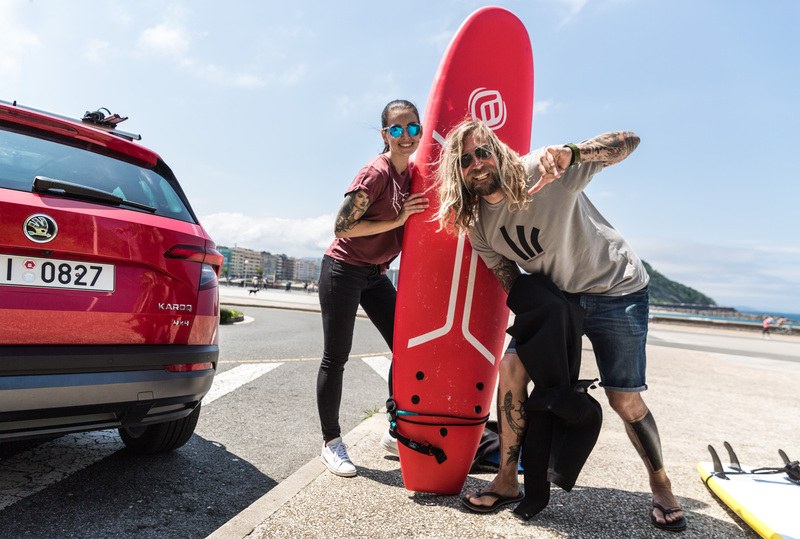 What’s more, surfing conditions are decent virtually all the time, which is also rare,” says the lanky, ever-beaming Borja Villaba Munoz, the co-owner of Gipsy Riders Surf School and Nina’s guide and surfing instructor, as he explains the merits of this city on the coast of the Cantabrian Sea. 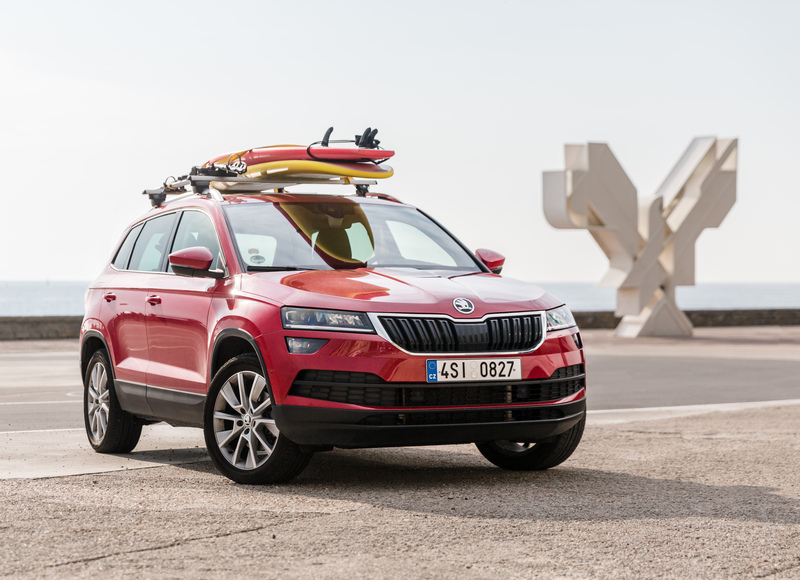 A little later, they remove their surfboards from the roof of the ŠKODA KAROQ and slip into some neoprene. 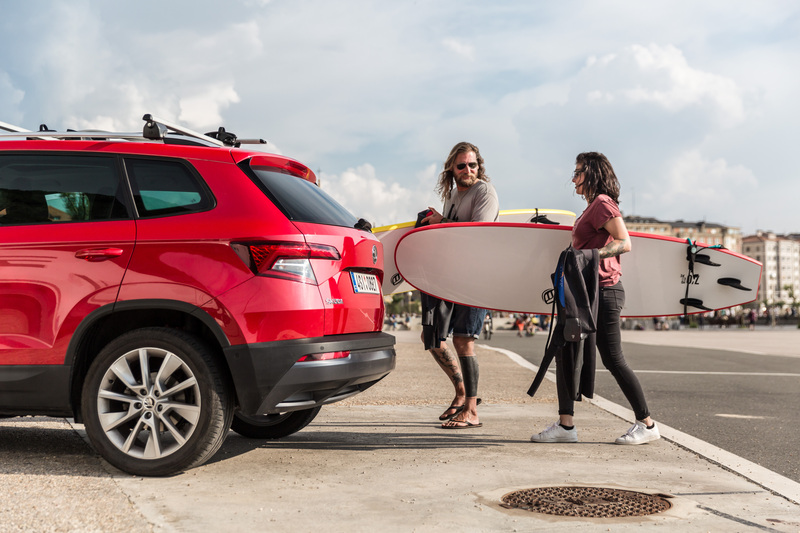 On Zurriola Beach, Borja begins let Nina into the secrets of surfing. 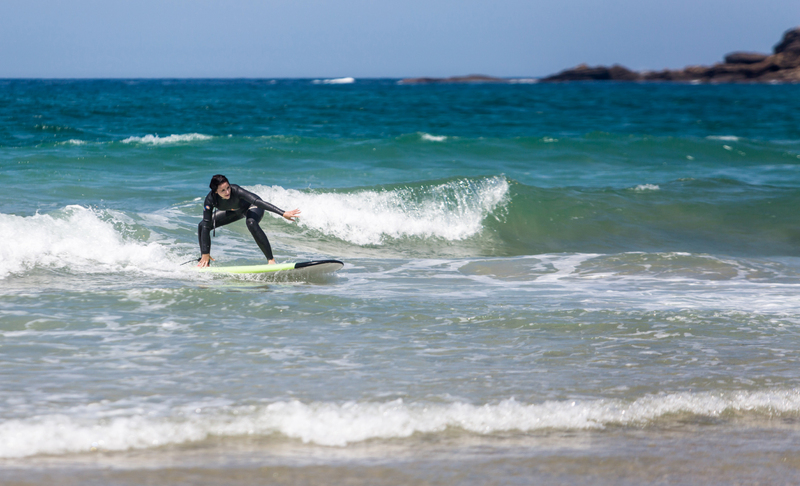 The lesson covers a wide range of knowledge and skills – how to move in the surf, what the local currents are like, and rehearsing the pop-up technique. Then it’s time to put what she’s been taught into practice. 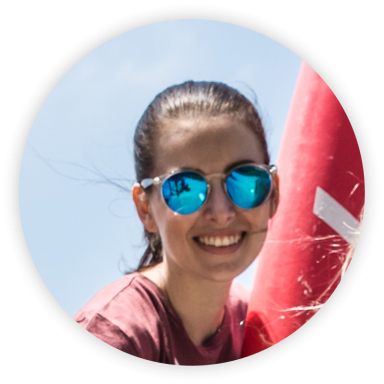 “No one ever learnt to surf on the sand, come into the water!” says Borja, encouraging Nina to immerse herself in the Bay of Biscay. Several attempts later, Nina is able to keep her balance on the board for almost half a minute. Her teacher celebrates so earnestly you’d think he’d just won a major competition. 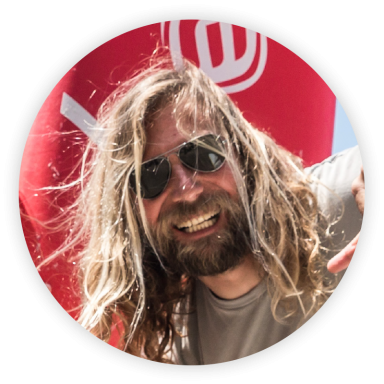 His infectious enthusiasm is the perfect incentive for rookie surfers. “I’ve been surfing for thirty-one years. I started skateboarding at six, surfing at ten. For me, surfing was like falling in love for the first time. You know when you fall in love and everything is new and amazing, and you can’t stop thinking about the other person? That’s exactly what surfing is like for me, but every day, and it never gets mundane. 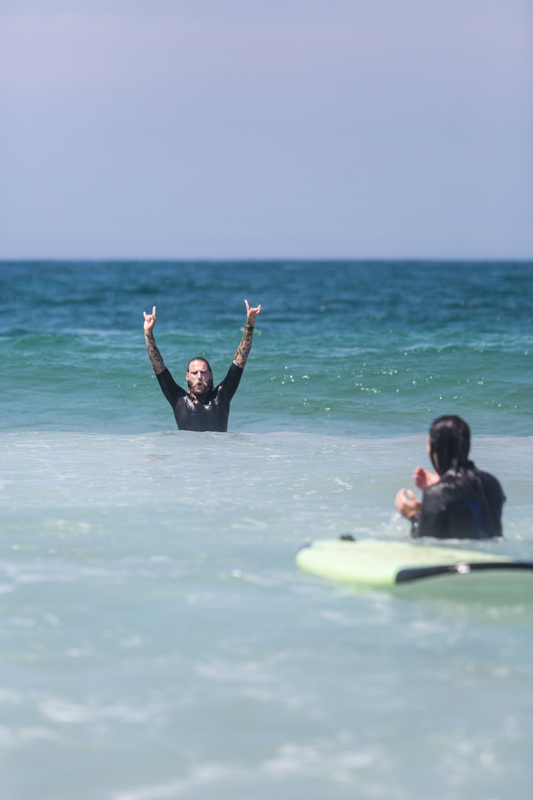 Surfing is the only thing that has never ended up boring me in my life,” says Borja as he describes his relationship with surfing. “The best times are when you get up early and go surfing first thing with a couple of friends. Those moments when you’re in the sea together and no one else is around are simply magical,” says Borja. “In the future, my priorities are to remain happy and free and to continue what I enjoy doing. I’m not particularly fussy about what that will be, but the main thing is that I want to stay close to the sea,” he says of his plans for the future. 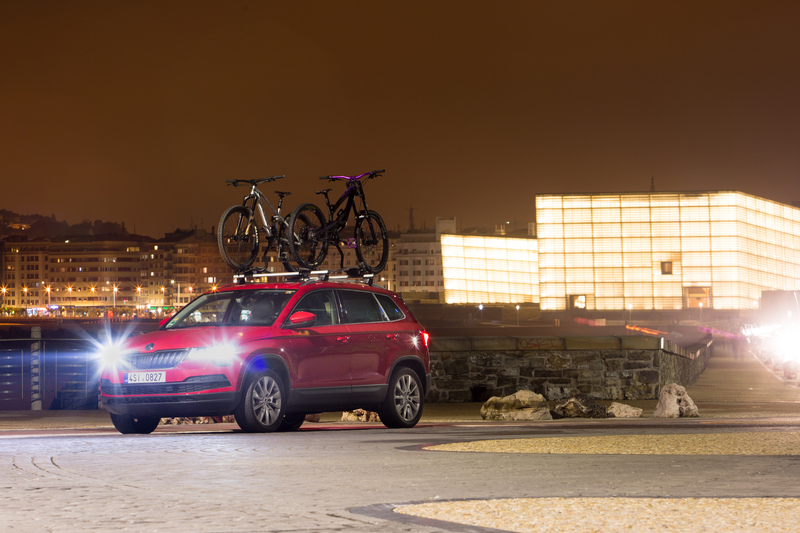 As the sun sets over the bay, Nina thinks back over her full summer of adventure, where she had the chance to drive a ŠKODA KAROQ over much of Europe, get to meet great people, and enrich her life with adrenaline-fuelled activity.